Whether you’re a weekend warrior looking for fresh tracks or a gourmand in search of the region’s freshest oysters, the area&apos;s location at the foot of Puget Sound offers a home base for adventures of all kinds. Plan a long weekend to explore the Olympic Peninsula or a week-long adventure to discover all things Washington state. Here are some of our favorite daytrips from the Olympia area–local insight and drive times included! Meet Mount Rainier. Wake early and stop in for cinnamon rolls from 5th Avenue Sandwich Shop in Olympia before heading into the heart of this Washington state icon. Within two hours, arrive in Paradise, an ideal destination for families and winter sports enthusiasts. Visitors find sledding, ranger-led snowshoeing tours (with rentals) and much more at this winter wonderland. Find details on tours, offerings and road conditions at this link, courtesy of the National Park Service. Explore Hood Canal. Venture up the Olympic Peninsula to find some of the region’s most scenic views and freshest oysters just one hour north on Highway 101. 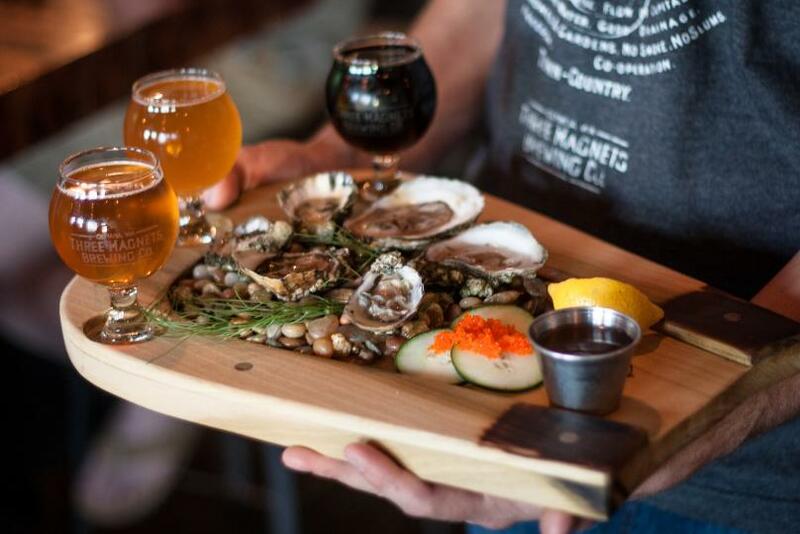 Enjoy the scenic drive to explore Hood Canal and arrive at a variety of local spots for slurping briny beauties. Explore countless hikes and trails along the water - or just stop and enjoy the view - before hopping in the car to taste Washington’s finest at Walter Dacon Winery, one of several tasting rooms along the South Sound Wine Trail. On the way back, test your luck at Little Creek Casino…or simply sample local fare from the variety of dining options. Discover the Washington Coast in Westport. Head west for just over one hour to watch working fishing boats in action and miles of open beach. This charming fishing village offers a great way to see and sample the Washington Coast. Hire a fishing charter, rent a bicycle or dig for razor clams. This handy list offers a variety of things to do around the area. Visit a Volcano at Mount St. Helens National Volcanic Monument. Learn the history and stories behind “America’s Volcano” at a variety of viewing stations and visitor centers within in the Mount St. Helens National Volcanic Monument. Located just two hours from Olympia, visitors enjoy taking in the scenery and snapping photos as well as climbing, horseback riding and even touring via helicopter. Learn more at this website. Unpack once and see the state from the comfort of a variety of hotel rooms and inns detailed at www.visitolympia.com. 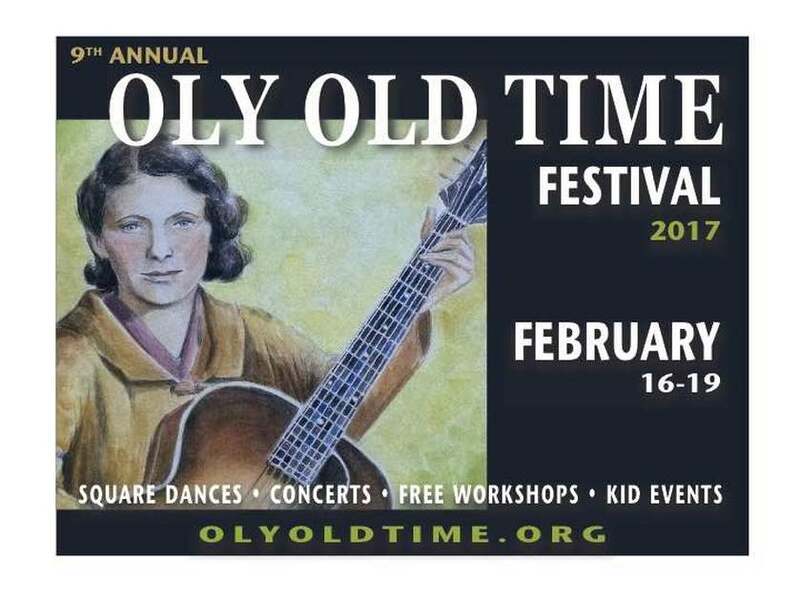 Join the experts in a throwback to traditional fiddle music at the Oly Old Time Music Festival. Dedicated to sharing the tradition of the genre, volunteers teach, learn and participate in square dancing, concerts, free workshops and fun for kids. Events take place throughout downtown Olympia, including the Arbutus Folk School and First Christian Church. Find details and a schedule at www.olyoldtime.org. Pie lovers unite at Olympia Pie Fest. Whether you’re of the baking or eating variety, Olympia Pie Fest offers something for all. Come to compete in the bake-off or sample homemade pies from bakers around the region. The tasty fun benefits the Thurston County Food Bank and Senior Nutrition Program takes place at Olympia Center. Find details at www.olypie.com. 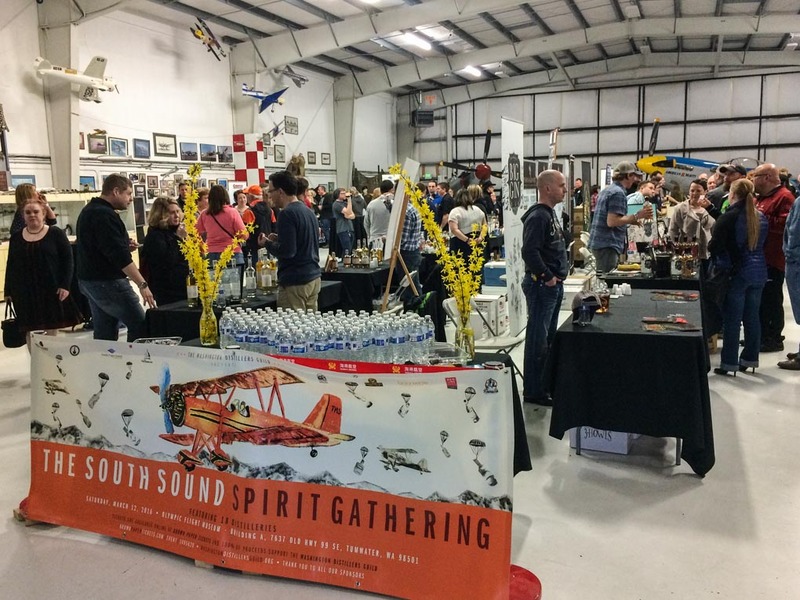 This popular tasting event returns for its second run at the Olympic Flight Museum in Tumwater. Discover why the region is quickly becoming a premier libation destination while sampling sips from Thurston County’s distillers – including Blind Pig Spirits, Sandstone Distillery and Salish Sea Liquors – alongside several additional Washington state distillers and paired bites from local restaurants. Tickets and more information are available in the event calendar at www.visitolympia.com.